Barclays has become the first UK high street bank to seriously explore the use of bitcoin, in a move that could help make the infamous virtual currency palatable to consumers. The bank has signed a proof of concept with Safello, a bitcoin startup that came through Barclays’ start-up accelerator. Safello’s founder, Frank Schuil says one reason finance brands have been slow to explore bitcoin is its poor reputation, plus potential security and regulatory risks. He told Marketing: "Bitcoin is synonymous with Ebola to the banking community. It has been tainted by scams and hacks with companies such as [bitcoin exchange] Mt Gox." Mt Gox is a Tokyo-based bitcoin exchange that managed to lose some £300m worth of the digital currency after an attack. Even Barclays won’t exactly admit that it’s exploring bitcoin, instead stating that it was looking at "blockchain technologies". Nasdaq talks around bitcoin in similar terms. Schuil said: "It’s less threatening from a compliance view, and it’s a way to obfuscate the fact that people are using bitcoin. I have to laugh at the blockchain vs. bitcoin terminology – it’s just marketing." 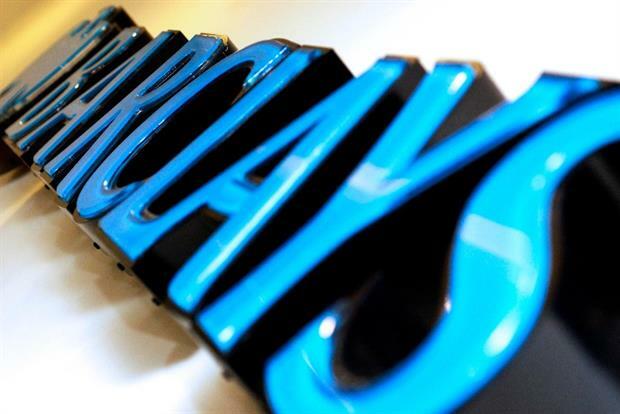 Barclays has refused to reveal any more detail on its work with Safello, though a spokeswoman told Marketing that the bank was making a "statement of intent". But first – what is the blockchain? Bitcoin is a tricky proposition for even the most technically minded. The currency isn’t printed, created or even regulated, but instead produced by individuals running computers that solve mathematical proofs. Central to this network of "miners" is the blockchain – the underlying public ledger that records every bitcoin transaction ever made. Every transfer is verified and recorded by computers on the bitcoin network, removing any need for a middleman, like banks. The blockchain can make transfers faster and safer, since they remove the single point of failure. Schuil told Marketing: "In almost all cases where people talk about the blockchain, nine times out of ten they’re talking about the bitcoin blockchain. It’s just a tech enabler for the currency." It’s possible to have a "private ledger", rather than use the public bitcoin blockchain, but Schuil says there’s little point. This is why firms like Barclays are exploring the existing blockchain. The trouble with bitcoin is that users are mining and trading the currency, but they don’t actually spend it. Schuil wants to change this through Safello, which aims to bring bitcoin to the mainstream. Unlike some bit-part exchanges on the scene, Safello complies with EU anti-money laundering policies and is registered with the Swedish government. The idea is to offer an easy in for consumers interested in trading bitcoins, but unwilling to take the risk on potential wallet hacks. Once a customer is on board and trusts Safello, it becomes easier to encourage them to spend. This hasn’t always gone to plan. In December last year, Safello launched the ability to make faster payments with bitcoin in the UK through partnership with an unnamed bank. A month later, that partner had rescinded the feature, possibly because of a security issue. Winning over potential banking partners isn’t always easy, and bitcoin has a long way to go before it can hit the mainstream. Schuil said: "It’s really hard. The willingness for existing institutions [to use bitcoin] has improved, but it’s not great. "In large part, that’s to do with the regulatory environment not being completely clear, as well as the fact that banks see a long-term threat from bitcoin companies. "The associated risk and fines just add up to them not being willing to open bank accounts for bitcoin customers. Payment service providers are equally resistant." Nonetheless, Scuilt insists his "risk-averse" approach to cryptocurrency is the way to go. He said: "We are not storing bitcoins like Mt Gox, and losing [approximately] $500m of funds. That’s slowly paying off – we have a [partner] bank in Sweden, and now Barclays is doing the proof of concept with us. That’s the first time a tier-one bank has done a bitcoin proof of concept." Will blockchain or Beyoncé change the world?